Ok, so you’ve been invited to a wedding and now you’re trying to navigate the waters of gift-giving… You may be invited to an engagement party, a bridal shower, a bachelor or bachelorette party, and the wedding itself — and it’s all adding up! Here are seven handy gift-giving tips to get you through wedding season. 1. Know which events to get gifts for. 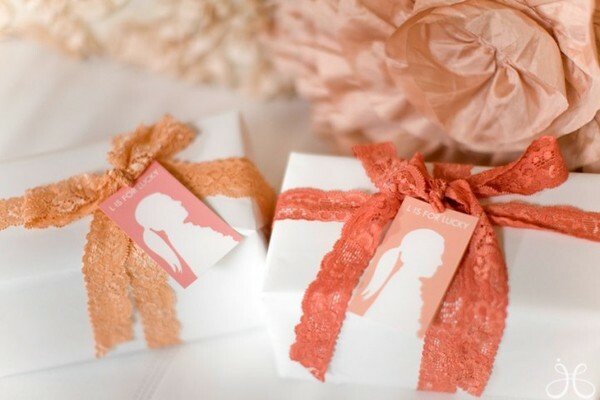 While gifts are always optional (yes, it’s true), they’re certainly customary for showers and weddings. Purchasing both gifts from the registry is always a safe bet, but plan to spend a little more on the wedding present. If you’re invited to the couples’ engagement party as well, a formal fete may warrant a gift, but a casual get-together at a bar may not (although it never hurts to buy the nearlyweds a drink!). 2. When in doubt, stick to the registry. By veering from the registry, you run the risk of buying the couple something they already have or a duplicate of something they’re already asked for. It’s easy to feel like shopping from a registry is impersonal, but the couple will be beyond grateful that you chose to buy them something they really wanted. If you’re venturing off the wedding wish list, make sure to include a gift receipt! 3. Keep your eye on the registry. Once you’ve purchased a gift, make sure it’s removed from the wedding registry (keep in mind that some aggregators require you to manually confirm that you purchased an item after you order it). This is important so that the couple can avoid receiving duplicate gifts. If the gift is not removed from the list once you’ve purchased it, contact the store so that it can be removed. 4. Give gifts on time. Technically, you have a year after the wedding to send a gift to the happy couple, but the sooner the better. Plus, the earlier you buy, the better your options will be and the less likely you are to forget to send something down the road! 6. Include a note or a card. If you’re ordering a gift online, make sure to add a personal note if the site gives you the option. If you’re gifting cash or a check, make sure to enclose it in a sweet card to bring to the reception! 7. Send a gift even if you can’t attend. If you can’t make it to the wedding, sending a gift is definitely a generous gesture. Help the couple start their lives together by giving something modest off of the registry. Your gesture will be greatly appreciated! Looking for more registry advice?